. . . and brilliant ideas. Getting Ready to Make a Debut! So exciting! Look for La Di Da Weddings & Events' white and gold favors at the 47th San Diego Wedding Party EXPO at VENUES Liberty Station on Sunday, 7/29/2018! See you there! You’ve been dreaming about your wedding day all of your life, you’ve utilized extensive time planning it and before you know it, it will be right around the corner. I happen to know a thing or two about planning weddings, so I thought you might be interested to learn 10 reasons you really do need a wedding planner for your big day! Saves you time – the average wedding takes over 200 hours of planning. Saves you money – a wedding planner is a repeat customer to many vendors. Acts as your “Go To” – No more hassling, stressful and annoying questions from vendors, family and friends. Allows you to have a worry-free day. You can begin to relax and have fun with your guests. Crises are handled behind the scenes and not brought to the attention of you or your guests. Saves your friends and family from having to work on your behalf and missing out on all the fun. Recommends vendors you can trust. Helps keep you within your budget. Brings your vision to life. Brings a wealth of knowledge and expertise! If any of these strike a nerve with you or you’re just hoping to have an amazing wedding day, let’s chat! Congratulations! You are either a very loyal friend, sibling or family member, or you were coerced into being a bridesmaid by a very desperate bride. Either way, you WIN a free dress, jewelry, accessories, gifts, and a bouquet of flowers - all this and more for your trouble (unless your bride is on a budget). As you embark on this adventure, I wish you good luck! There is no better way to test a friendship than one solid year of losing your friend to the wedding abyss. Being a bridesmaid is not only a huge honor, but it also comes with a load of responsibility as you are an integral part of this very special day. One wrong move could spell disaster for everyone involved. So here are some tips and tricks you can use over the next several months leading up to the very day itself. There are several opportunities in life to be competitive, but this is not it. Remember, the other members of the bridal party are friends or family and are very special to the bride. Otherwise, they would not be here. Save your rivalry for the bouquet toss – which will make you appear overly enthusiastic, and no one will know any better. Everyone knows that once the engagement has commenced and the wedding planning begins, all brides develop hypersensitivity to all things “wedding” and they never want to feel as though your being her bridesmaid is a chore . . . even if it is. All weddings are beautiful in their own right. You are not doing anyone any favors by comparing one wedding to another. While you believe your words are helpful, they may be just the ingredient that adds unnecessary stress to the bride. I don’t care if you were in a wedding, just attended another wedding, planned or are planning your own wedding or are an event planner, you need to be respectful of the bride. The single, most-effective way to drive your bride over the edge is to constantly subject her to comparing her wedding to others. This is not someone else’s wedding, it is her wedding. The bride should be entitled to her own personal experience, style and atmosphere, not Christina’s. Just stand back and let her have her day. Getting everyone together at the same time is a chore in and of itself. Be respectful, plan and arrive timely to all things wedding related. After all, there’s a calendar on your phone for a reason-use it. Remember, turnabout is fair play and if you do not treat your friends right when they need you, surely one day you will have to pay up when you have an event and need them. Are you giving your friend the courtesy, respect and diligence she deserves? The same you would want for yourself? This is your friend’s wedding, it is not happy hour or a nightclub and though a wedding is a great place to meet new people, do not hook up with someone at the reception. No matter how attractive they are, you do not want to possibly invite yourself into some unknown drama. It’s always best to ask the bride and groom how they feel about any potential pairings prior to the wedding. I was in a bridal party of ten when a few of the bride’s cousins began criticizing the bridesmaids’ dresses at the bridal shower. One bridesmaid commented that the dresses were cheap and obviously not designer or from a boutique. How would you feel if you were the bride in this situation? In front of all of your friends and family? The dress may not compliment your complexion perfectly, rise to your elite standards, and may be the ugliest dress on the planet, but remember (whether the bride pays for the dress or you do), this is the bride’s day. Let’s face it. Most brides want their bridesmaids to feel beautiful and be comfortable, and some brides don’t. The choice is not yours, it is the bride’s. If you accepted her invitation to be a bridesmaid, just deal with it. Most people in America can afford to lose a pound or two, but suggesting a fitness frenzy before the wedding (while your bride has the burden of shopping for and then fitting into the perfect dress) is cruel at best. If she has a beer belly, thunder thighs or a double chin, your job as her bridesmaid and her friend is to tell her how beautiful she is. Simple.as.that. This will surely give the bride a nervous breakdown. Even the most laid back bride wants to keep her wedding plans (especially her dress) confidential . . . and/or maintain the element of surprise for her guests and husband-to-be. If you want to send suggestions, be sure to send them to the bride privately. While you may think a stripper sounds like a good idea, you may want to discuss this with the bride as there may be several attendees or in-laws not comfortable with it. The bridesmaids should actively join forces (fairly, across the board) and plan a party with the bride’s best interests at heart. Weddings are stressful, lots of work and they are not easy on the bridal party. However, this does not give you written permission to hit the bar pre or post-ceremony. Otherwise, you may find yourself belligerently heckling someone important at the wedding or reception, creating a scene, knocking over the cake, and sleeping next to the gift table. Memories fade, but photos are forever. What is the Difference Between A Wedding Planner and Venue Coordinator? As a wedding planner, one of my biggest pet peeves is when a bride tells me that her venue sold their in-house coordinator to her as an actual wedding planner. Unless you work within the wedding industry, the difference isn’t commonly known. When I ask a bride if she has a wedding planner and she says, “I already have one. One is being provided to me through my venue,” I bite my lip and cringe. Wedding planners worldwide have received that frantic call from a bride who desperately needs a wedding planner just days before the wedding. This generally occurs after the last venue meeting when she is asked, “By the way, who is your wedding planner?” In most cases, the bride answers “you” with a big smile on her face. Her next facial expression is one of horror . . . when she’s told the person she’s worked with all along will not be at her wedding (because she’s on vacation or has been terminated), or she’s read a list of the things the venue coordinator WILL NOT be responsible for. The bride is confused, her anxiety level soars through the roof and she is seething, “The primary reason I signed with your venue was because you told me my package came with a coordinator!” If the bride is lucky enough to find a wedding planner to step in just days before the wedding, the planner can make all the magic happen. Otherwise, things can get complicated. Venue Coordinator - They are responsible for everything that specifically deals with the venue. Tables, chairs, linens, food, etc. If the venue provides catering, their focus is to make sure that the kitchen and wait staff are scheduled for the event. Wedding Planner - They are responsible for everything that comes with your venue AND they make sure that your vendors know where and when they’re supposed to be. If the venue provides linens, it is the job of the wedding planner to choose the color based on the design of the wedding and to keep the quantities correct. Venue Coordinator - The venue coordinator will most likely provide a list of preferred vendors and that’s the extent of their involvement when it comes to interacting with the vendors. Their sole purpose is to provide service to the venue; and if they work on a commission basis, to upsell their packages to clients. Wedding Planner - Your wedding planner will schedule and attend your meetings with your vendors. They can assist you in negotiating a good rate. They are the main point of contact between you and your vendors. If a vendor is lost or running late or is having an emergency, they’ll contact your wedding planner who will put out the fire. Your wedding planner gives recommendations based on vendors they’ve worked with previously as they are a return customer. They also review contracts, set up hotel room blocks, can make a boutonniere in a pinch, cut and serve a wedding cake, the list is endless. Venue Coordinator - Hotels that provide catering will have a timeline solely for their catering staff. This is called a “BEO” or banquet event order, which centers around when the food will be prepared and served. Wedding Planner -The wedding planner’s WEDDING TIMELINE sets forth all aspects of the day from the time the bride wakes up to the moment that the reception cleanup is completed. They must know every single aspect that is happening with every single person involved in the day. They schedule the arrival times for all vendors, when photos are taken, what songs will be played for each dance, when the cake is cut, when the sparkler send-off will happen and they make sure the couple’s gifts are in a safe place at the end of the night. The wedding planner does it all so you and your guests can relax and enjoy your day. Venue Coordinator - You’re most likely sharing your venue coordinator with at least 100 other brides. This means delayed responses to phone calls and emails. This also means that you have to try to catch them during business hours. Wedding Planner – Wedding planners are available almost 24/7. Of course there are exceptions but if you’re having an emergency, you can pick up the phone and send a quick text message. I assure you, your venue coordinator is not giving you their personal cell phone number. Venue Coordinator – They’re not designing or decorating your wedding. Period. Wedding Planner – They’ll provide design assistance for your ceremony and reception. If you do not feel comfortable doing so, you may ask your wedding planner to choose your colors, linens, flowers, table set-up and design, prepare your signage and invitations, etc. 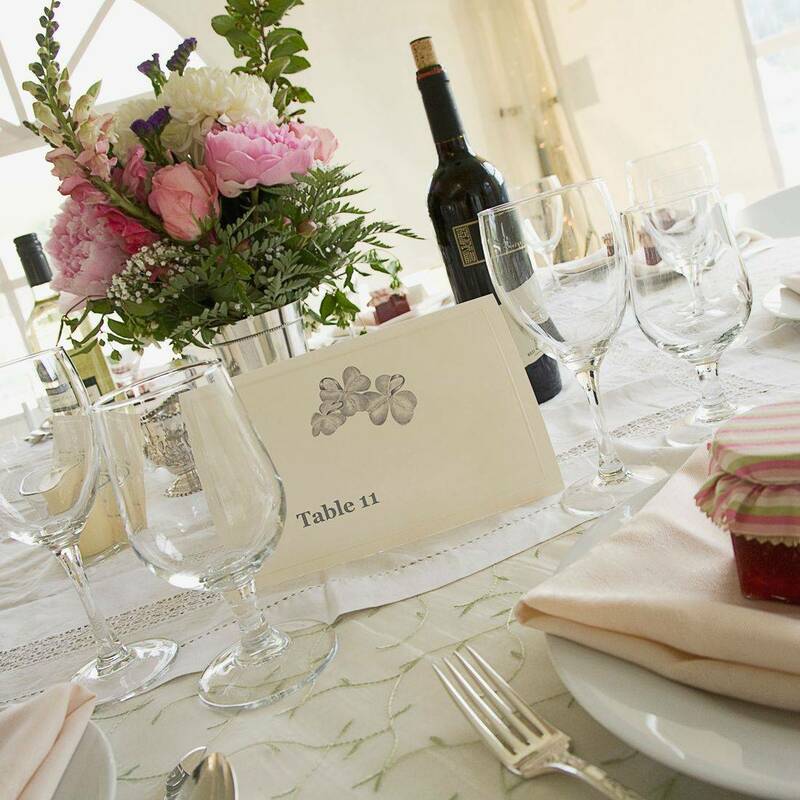 Wedding planners will decorate for your wedding and insure favors are at each place setting. Brides, please do not make the mistake of not hiring a wedding planner, because your venue stated they are providing you with their on site “wedding or venue coordinator.” Wedding planners are more hands on and they handle dilemmas without bringing it to the attention of you or your guests. Hiring a wedding planner is not just another purchase, it is truly an investment for your peace of mind that you will have a flawless event. Do not find out in the middle of planning that you do not actually have a wedding planner. Is it Rude Not to R.S.V.P.? When engaged couples send an invitation that includes R.S.V.P., they want their guests to tell them whether they accept or decline the invitation. Etiquette demands that you respond. The average cost for a couple sending 150 invitations and R.S.V.P. cards is $245. When you calculate in the fact the couple will likely purchase save-the-dates ($114), menu cards ($114), programs ($104), thank you cards ($92) and place cards ($77), the average grand total becomes $750 before postage. Therefore, each invitation costs the couple roughly $5 to $7. If you are invited to the wedding, it means you are important to either the bride, groom or both, and they want you to share their wedding day with them. Therefore, they need a headcount. The very least you can do is return the response card. Lame Excuses Not to R.S.V.P. I might have a better offer. I am not comfortable at parties that require R.S.V.P.s; too formal. I like to keep the bride and groom guessing. I do not want to go, so I will pretend the invitation was lost in the mail and act surprised if they call. I am rude and inconsiderate, and I want to make a statement. The post office and mailbox are too far away. I really have lost the invitation (they send them sooooo early these days) and I do not know how to contact the couple (even though we’re friends on Facebook, Linked In and Instagram). My life is over-scheduled, and this is one of those things I forgot. Note: There is a “please respond by a certain date” on the response card, but how soon should you return it? The answer is: Within 24 hours of receipt. Yes, you read that right. The fact is, most people know whether they will attend the wedding upon receipt of the invitation. Unless your boss has not responded to your time off request, or you are sailing across the Pacific Ocean, or you are on a space shuttle to Mars and do not have access to a mailbox, the appropriate time to return the R.S.V.P. card is within 24 hours or as soon thereafter as you can. If for some reason you cannot respond by the date requested, you should call the bride and groom and explain your situation immediately. So there you have it, everything you ever wanted to know about R.S.V.P. and how to practice good wedding etiquette. How do you express your thankfulness? Is there a correct or wrong way? Like R.S.V.P.’s, it appears the other dying art in the world of etiquette is thank you cards. Why? I have debated this subject with all walks of life and this is my argument as to why I believe you should send a thank you card to express your appreciation and not fall victim to a broader generation that was not introduced to basic manners, gratitude, respect, and thoughtfulness. Today, gratitude seems almost nonexistent – easily evidenced by the absence of personally written notes or even calls of thanks. Grandparents will often tell you they never know if their grandchildren ever received a gift they sent, because a response was never received. First and foremost, it’s never wrong to be appreciative. It’s also never wrong to send a written thank you note. Why? Because your handwritten sentiments are warmer and more special than any other type of “thank you,” including those made in person, e-mail, social media or phone. The rule is you send a thank you note for any gift you receive, including birthday gifts, graduation gifts, shower gifts, wedding gifts, new baby gifts, anniversary gifts, congratulatory gifts or cards (i.e., after a job interview), housewarming gifts, when you’ve been a house guest, gifts received during illness or gifts or cards received for sympathy. People work hard for their money and spare time. The gift giver does not expect you to make a Hollywood production out of it, but acknowledgment and appreciation go a very long way. For weddings, I personally believe it’s especially important to thank all that witnessed the most important day of your life, whether they showed up with gift in hand or not. A thank you note is a must for every kind gesture or service – for example, someone who ran a last-minute errand for your reception or gave a heartfelt speech. Above all, do not forget about your parents and your bridal party. The people that spent their time and hundreds (if not thousands) of dollars helping you with the details, set up, break down, purchased their wedding attire, shoes and accessories, threw bridal showers and bachelor parties, and still showed up with a gift at your wedding. Do your actions clearly define your gratefulness? People have argued, “If you EXPECT a thank you, then don’t give a gift.” Ask yourself, “Will there EVER be another event in my life where I would want my appreciation (or lack thereof) taken into consideration?” Even if you didn't like the gift, someone expended the time, effort, money and heart to select it, wrap it, deliver it to you - and they were thinking of you “fondly” throughout that process. So, when writing a note, feel into your relationship with that person and make the card personal. Guess what? If you send a thank you note, the kind gesture will never ever be forgotten. If you do not, that will not be forgotten either, but not for the same reason nor with the same regard. For those already with pen in hand, here are a few pointers. If you receive a gift before the wedding, send a thank you note immediately or within one week. For all other gifts, services and vendors on your wedding day, send out thank you notes within four weeks – unless you are out of the country on your honeymoon for four weeks - then send the thank you cards out no later than three months. Remember, the longer you wait, the harder it becomes, and the less appreciative you will appear. A year is simply too long. Beyond a year is ludicrous. Keep it short—three or four sentences is perfect. 4. Be authentic. Be original. Be sincere. 5. Sign it. Address it. Stamp it. Mail it. It is also extremely important for parents to model gratitude in the home. Not just in written form, but as a way of life. It is a great idea to get kids in the habit of writing thank you notes by preschool age. If your children cannot write, transcribe the note for them or have them draw a picture and scribble their "name" at the end. Recipients—whether grandparents, other family members, or friends—are guaranteed to be delighted! And of course, it’s okay to go over the top with your appreciation by sending a thank you gift. You can send magnets or pictures from the wedding or your recent event, or send a baked good, small gift basket, or a mug with something edible inside. Should you send a “thank you note” for a “thank you gift?” YES!!! Communication in America today is driven by the desire to get things done instantaneously. It is disheartening that gratitude (in written form) is viewed as prehistoric. This dignified art probably will not return anytime soon. We can only hope and pray today’s mindset will become a fleeting trend, and that the emptiness it creates causes a hunger for others to once again seek human connection, heart and thoughtfulness. After the glow from engagement season (Thanksgiving to Valentine's Day), couples worldwide are faced with the daunting task of actually planning their wedding. Whether you’re a Type A personality or are lackadaisical, planning a wedding is time consuming, stressful and expensive. It tests the strongest relationship. It has created conflict and even wars over the course of time. You may be taking a step back and asking yourself if all the fuss is worth it. At La Di Da Weddings & Events, we’re here for you with some fabulous tips. Remember, a little preparation goes a long way in creating the wedding day of your dreams. The first step is to attend a bridal expo or wedding fair. There is no better way to get inspired for your big day than seeing the latest décor, audio and video equipment, wedding dresses, desserts, florals and so on. You will meet several vendors in a short amount of time, which would have otherwise taken you months to accomplish. Keep in mind, not all bridal expos are created equal. Go to those that are held at large venues and convention centers as they generally feature the very best vendors in the industry. You should not go solo. Take your fiancé, a dear friend or close relative. Do not bring your entire squad. So many opinions in an already-crowded place can be a recipe for disaster. Properly prepare for the bridal expo. Eat a light breakfast. Leave a little room for delicious samples from caterers and bakers. Get there early so you can openly speak with vendors without having to compete with the crowds. You will benefit from having a checklist or point of reference when considering the services you will require, what accessories you still need and a short list of general questions you have for vendors, planners and designers. Pre-registering for a bridal expo will help save you time and money at check-in. Wear comfortable clothes and shoes that reflect your sense of style, and bring a backpack or wheeled cart. Most bridal shows offer you a free tote, take it. You will be bombarded by handouts, packets and business cards and may want something extra to stash all your goodies and keep your hands free – especially if you win a raffle or plan to purchase items at the show. It ‘s handy to carry a color swatch (if you’ve already selected your wedding attire) for browsing and comparing colors to accessories and/or jewelry at the show. Take a credit card and some cash. Many vendors offer discounts on their services if you book your wedding the day of the show and may request a deposit – keep in mind not everyone takes plastic. Make labels that include your name(s), email, phone, wedding day and venue (if you have it). You will be exchanging this information repeatedly throughout the day and will be grateful once you see how much this will simplify your life. Also, multicolored tabs or markers can help you prioritize the material you are receiving from a vendor by color-coordination (for example, peach for “very impressed,” yellow for “maybe,” green for “needs more research” and red for “no thanks”). Once you return home, you will have a clear picture as to where to start. Do take notes, either in written form or use your note-taking app on your smart phone. If it’s an awe-inspiring floral centerpiece or the dessert table of your dreams, be sure to take photos! Ask questions and be friendly! Vendors want to hear about your wedding and opening the lines of communication can quickly determine if you will be a good fit for one another. Don’t be afraid to hunt for deals and special offers. “Book now” discounts, giveaways and prizes are common at wedding expos, so take advantage and get the most out of your attendance. If you connected with a wedding professional that you’re interested in hiring, don’t wait for them to follow up with you. Quickly email or text the vendor after the show and ask how to move onto the next step. Wedding professionals book quickly. Your reaching out to them can help not only save, but secure your date. Remember, you are planning the best day of your life – planning weddings and attending bridal shows should be fun! Enjoy!